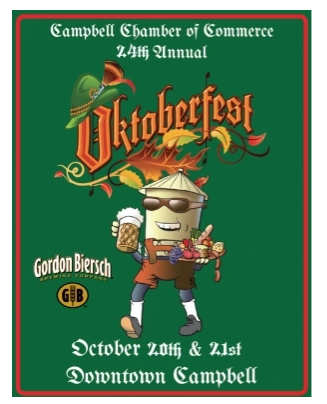 Come staff our booth as Campbell's Oktoberfest - Saturday or Sunday October 20 and 21. Booth is generally corner of 2nd and Campbell. Our morning shifts are full but we need people from 1:30 - 5:00. Get a tee shirt, thank you surprises from the City of Campbell and more! Downtown Campbell -- look for our booth and Ron Gardner! Volunteers get free t-shirt, drink coupons and discount food coupons. And, of course, our undying gratitude.